Being productive is a great feeling. Another great feeling? Walking into an office (at home or work) where you feel inspired to give it your all during the workday. Those daunting tasks don’t seem so bad when you’ve got a stunning space topped off with a bold art piece. See a few offices that have us inspired and find the perfect art to keep you working hard even on those days when all you can think about is the weekend! We love that this office is surrounded by windows, adorned with easy accents, and sticks a classic color scheme. Who knew fish art could make the most amazing office art? It’s easy to bring your ideas to life in an office that fosters creativity! This dark-hued office is anything but bland. Top off dark walls with abstract photography as office art! Eclectic style works wonders in the office. 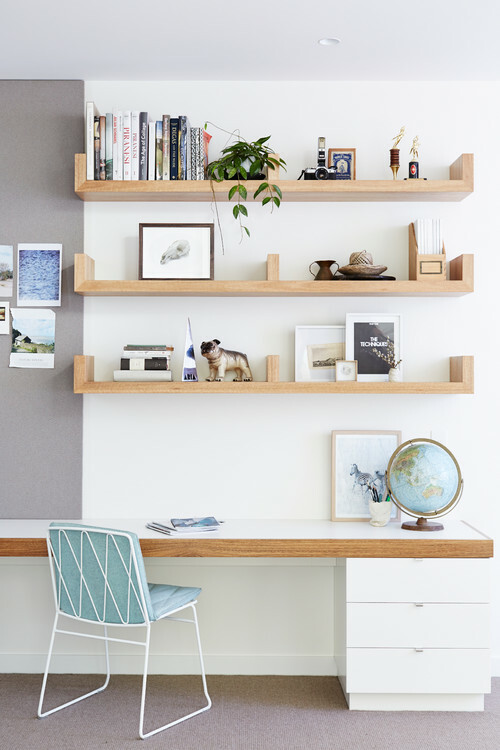 Bring together all the things that keep you inspired in one small space. Maps make excellent office art and can help you plan your next vacation in between big work projects! Find Office Art and more at Great BIG Canvas!